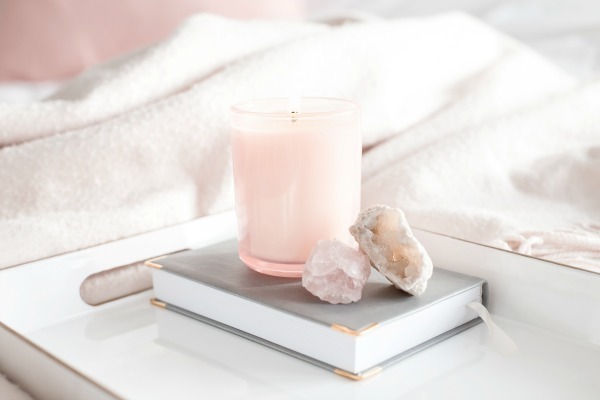 You’ve probably heard about affirmations – or mantras, as they’re sometimes called. An affirmation is simply a statement (as opposed to a question) that affirms what you want in your life. Affirmations reprogram the subconscious mind with new, empowering beliefs that will attract experiences to you based on those new beliefs. For example, if we belief we are not worthy, we will have difficulty attracting the experiences we want because we don’t think we deserve them. When we reprogram our subconscious mind to believe (and know) that we are worthy, we will attract experiences that validate our worthiness. Imagine the possibilities! 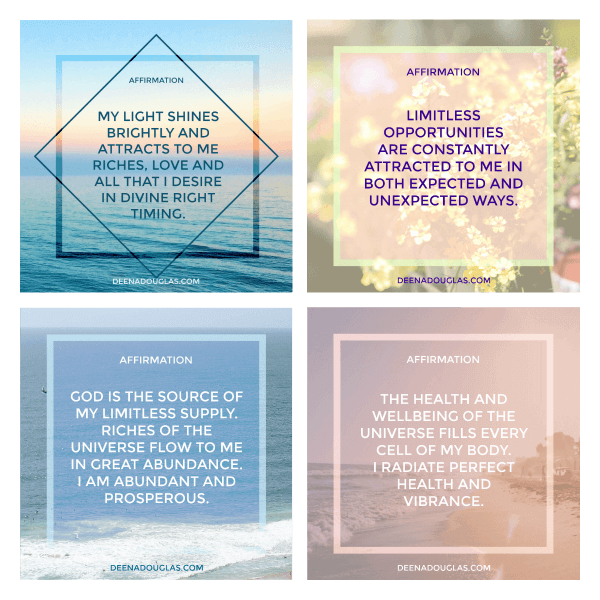 I’m sure you can see the value of using affirmations on a regular basis. Unfortunately, I see many people using them incorrectly. There is so much information online, it can be confusing. 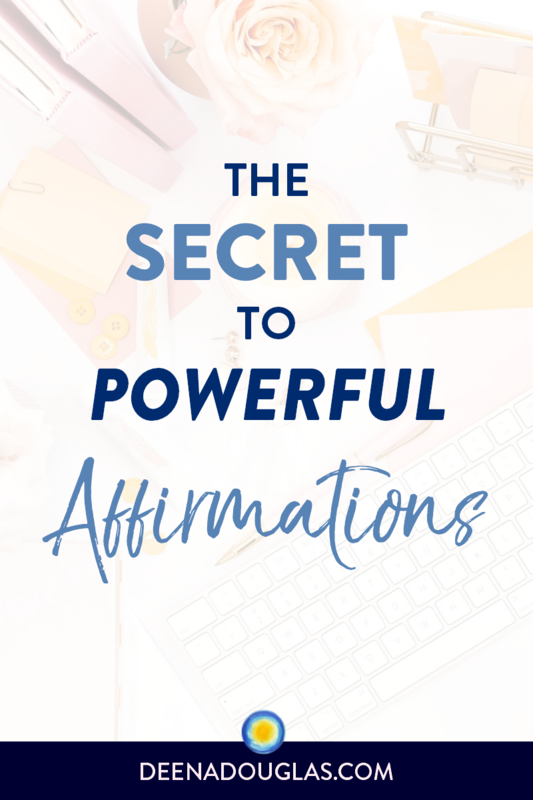 So what’s the right way to use affirmations to get the best results? Affirmations are always stated in the positive, present tense. They are positive: I am vs. I am not. They are in the present tense: I am vs. I will. Stating that you want something, keeps you in a state of wanting instead of receiving. You want to be loved, true. But you don’t want to continue to want to be loved, right? You want to be abundant and healthy, but you don’t want to stay in a state of wishing you were healthy or waiting for abundance that will be in the future. I am attracting a loving relationship into my life now. I am attracting abundance to me now. State what you do want, not what you don’t want. For example, let’s say that you want to quit smoking. You wouldn’t want to say, “I am not smoking,” or “I don’t smoke cigarettes anymore.” You can’t affirm the negative. Our subconscious minds don’t hear the “no”; they only hear the rest of the sentence, which is what you don’t want. It’s better to focus on the positive. “My body is getting healthier and fitter day by day,” or “My body is becoming more toned, fit and thin every day.” Think about what you do want instead of what you don’t want. You don’t really want to lose weight. You want what you’ll gain from losing weight: a healthy, fit, toned body. For example, if you want to lose weight, why? To feel healthier, to have more energy, to have more self-confidence… Why do you want those things? What’s underneath? What’s your real reason for wanting to lose weight? Maybe you want to be able to play with your kids or grandkids. Maybe you want to have more energy so you feel better in your body. Maybe someone you know is ill, and you realize you want to be in your body for a long time to be there for your family. 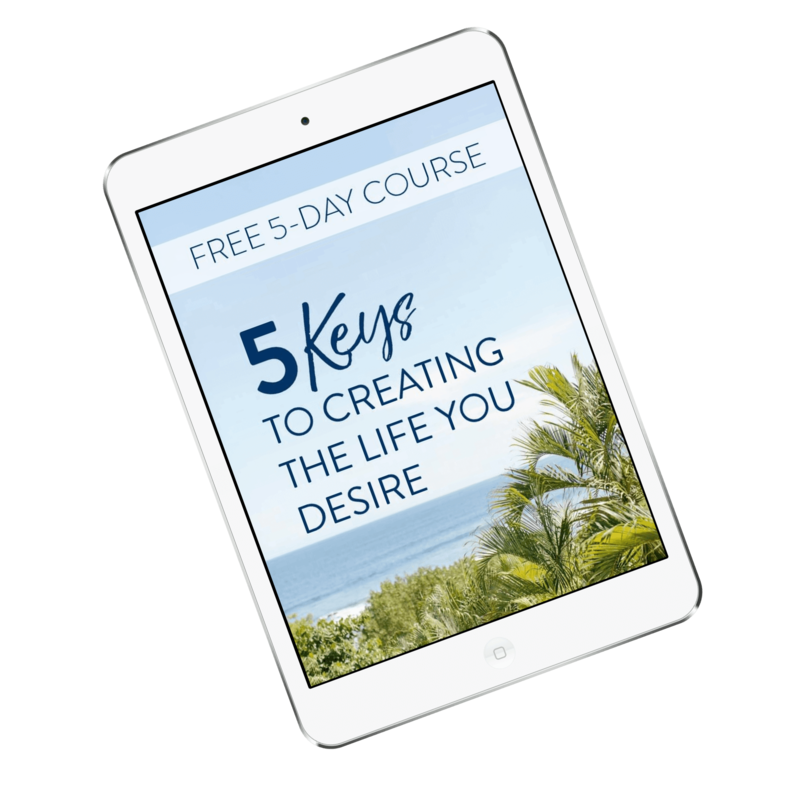 There’s always a deeper “why.” That’s where the key to your emotions lies. For you grammar nerds, it’s called, “Present Progressive Tense.” 🙂 Basically it adds “ing” to a verb. Manifestation tip: When you use “ing” in your affirmation, add the word “now” to reinforce that it is being magnetically drawn to you NOW, in the present. 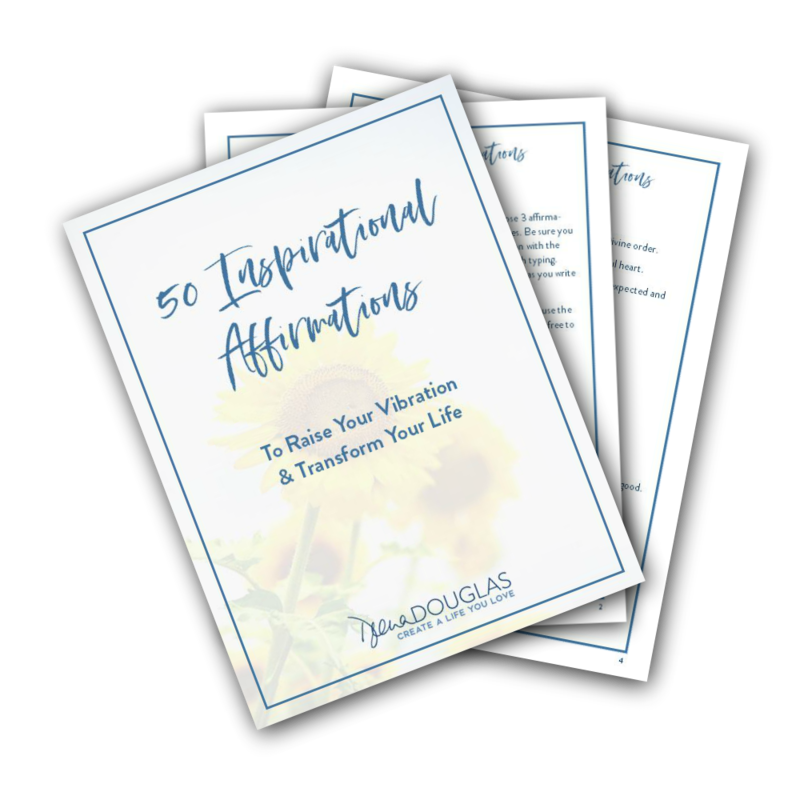 Get a head start with my 50 Inspirational Affirmations that will raise your vibration and transform your life, for FREE! Just click on the button below, and they’ll be sent right to your inbox. 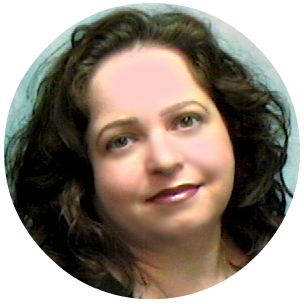 For lots of inspirational affirmations, visit my Pinterest page. Hi Deena! 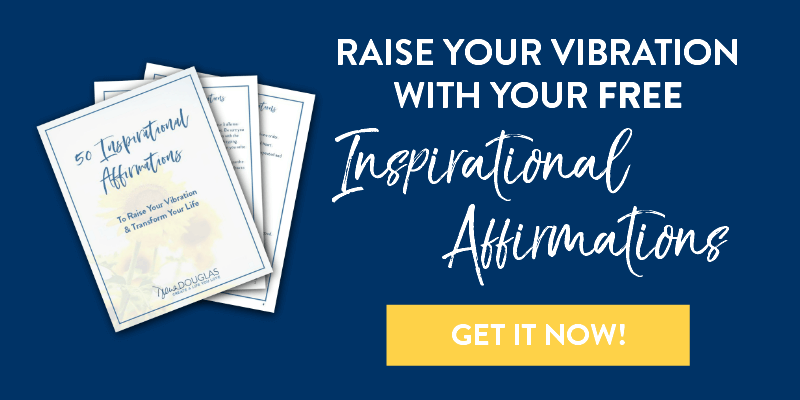 Thanks so much for sharing this post — I’ve personally experienced how powerful affirmations can be in my own life! And I really love your tip about changing the wording to an affirmation when you’re feeling that resistance. I struggle with that all the time! But it’s so true — just changing the wording slightly can make it so much easier to find an affirmation I can get on board with! Thanks!